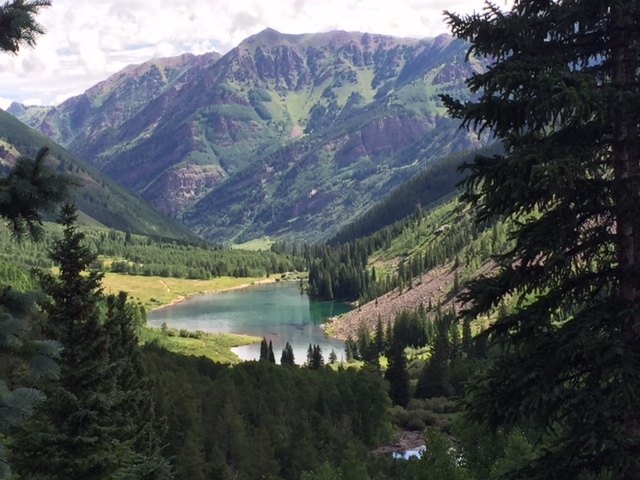 Some friends and I drove to Aspen for a little mini-vaca last weekend. When we were on our way back we decided to try a different route home; anyone who has driven to the Colorado Mountains knows I-70 is a disaster on a Sunday afternoon. 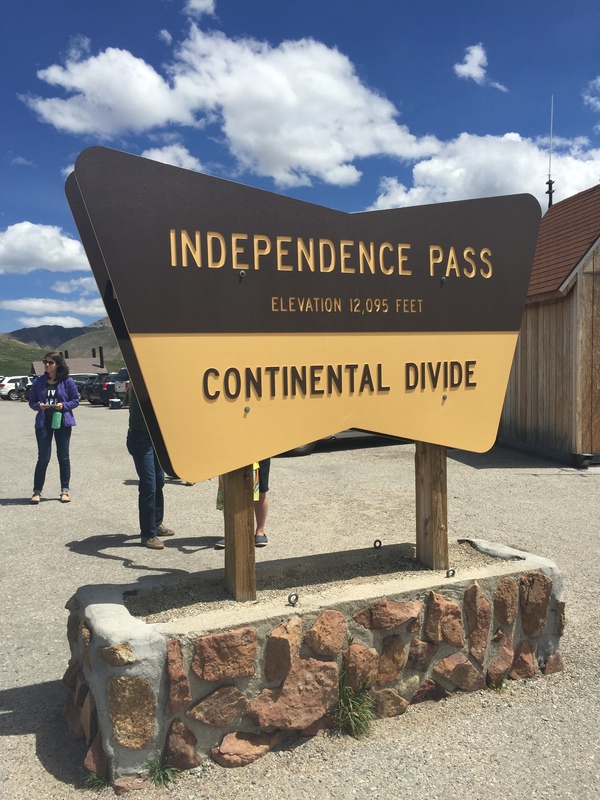 With a little (okay, a lot) of naivety we started our drive towards Independence Pass. We were following Google Maps until we got on a road that it said we would stay on for about forty miles. The speed limit was 25. I sarcastically said, “Imagine if we had to actually drive 25 for forty miles!” Can you guess where this is going? But it was fine, because we drove up and over the Rocky Mountains on one of the most beautiful drives I have ever been on. I mean, this is one of those “highways” that is literally along the edge of a mountain, and has signs that say “lane narrows…” meaning it becomes ONE LANE. On the side of a mountain, people. 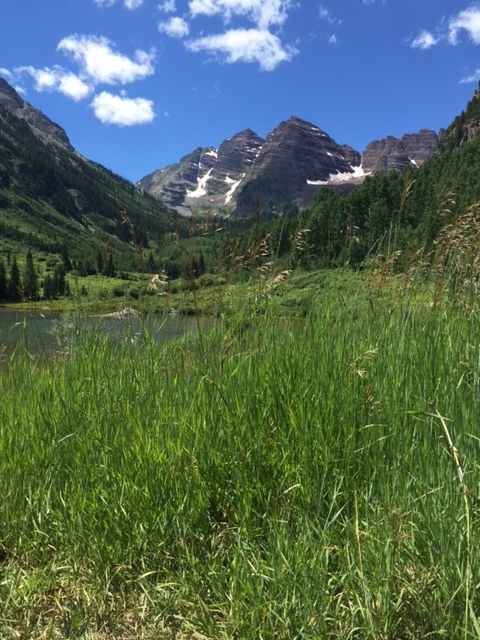 We were surrounded by the most beautiful scenery – mountains, lakes, rivers, trees, wildflowers – it was all there. Every way we looked was beauty. And I had this thought: When God made mountains, He must have been so proud. Don’t you think if you created something SO incredibly beautiful, so majestic, you would just want to run around like a 3 year old who just made macaroni art screaming Look what I made?!?!?! 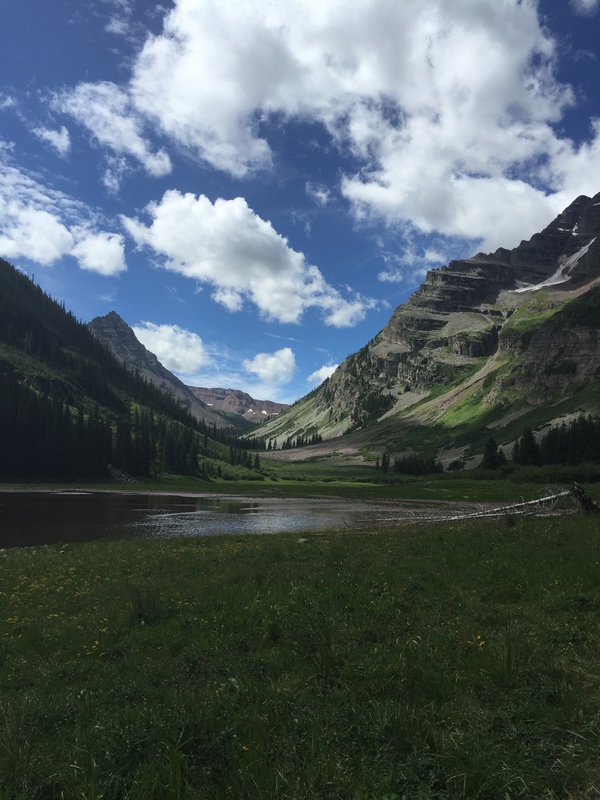 These mountains – they display the grandeur, the majesty, the might of the God we follow. He probably danced around when He came up with the idea for mountains. Isn’t it ironic that we use mountains as a metaphor for the hard stuff? A few weeks ago at the Sand Dunes we overheard a little kid say, “I wish there was no such thing as uphill.” We laughed and said, agreed, little dude, agreed. But then we thought about it and realized, without uphill there would be nothing. There would be no valleys, no challenges, no adventure. We learn by climbing the mountains; we grow by facing them. We admire them from far away, and even look up to the people who climb them. But when we have to face our own mountains, we are disgusted and wish them away. We question what God was thinking and why He would make us hike that. When God made mountains, friends, He knew what He was doing. He knows what you’re walking through. He knows what you have to climb, and He goes with you. He walks before you and behind you. You know what? He looks at you the same, friend. You are His pride and JOY; His greatest work. The mountains pale in comparison to the way He felt when He thought you up. I’d spend every day of the rest of my days on this beautiful earth preaching that to you. But I’m gonna let these mountain pictures teach you instead.